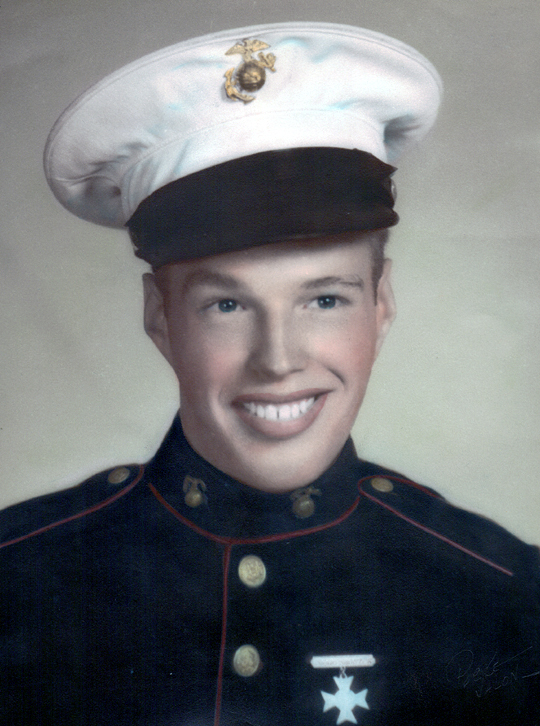 Leonard Maro Smith, first veteran to be interred in the Avenue of 444 Flags Cremation Garden. 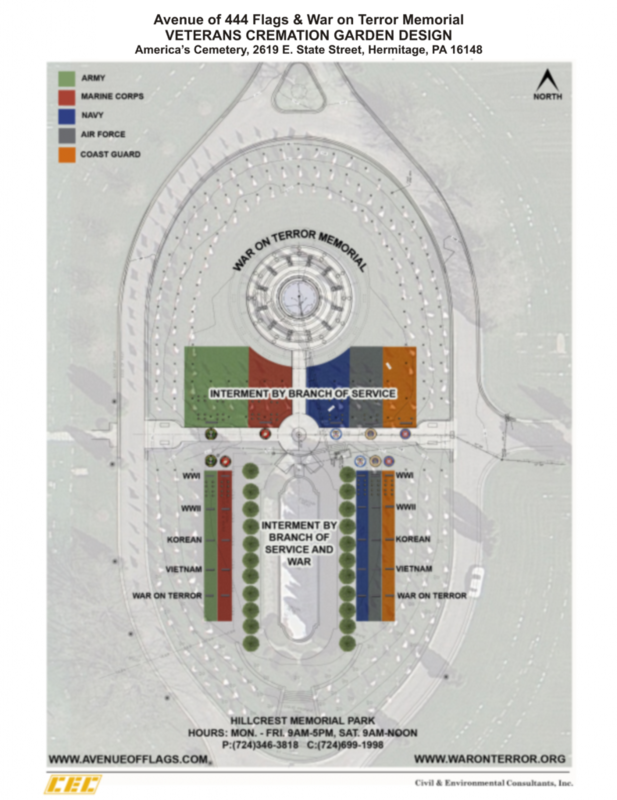 The Avenue of 444 Flags Foundation has established a Cremation Garden among the flags surrounding the War on Terror Memorial for the interment of honorably discharged veterans and their families. 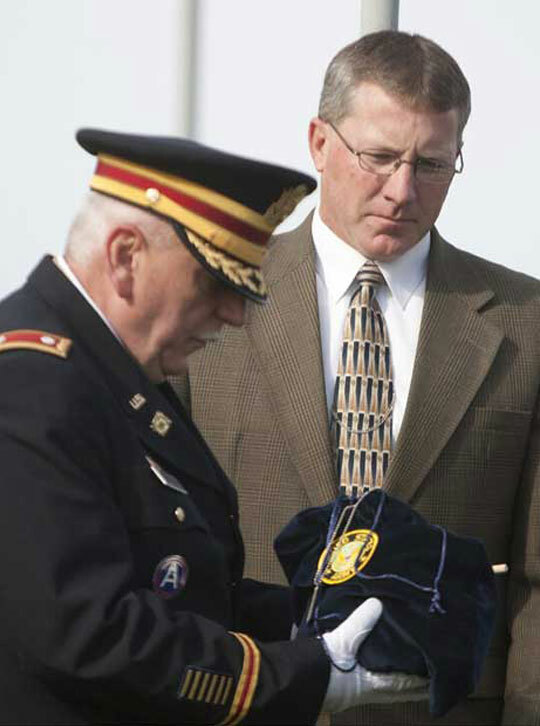 Their cremated remains are not scattered on the surface, but instead are placed in velveteen containers which are lowered with full military honors into vertical cylinders set in the ground. The containers are adorned with an American flag on one side and the crest of the veteran’s branch of service on the other. These containers ensure that the remains of each person are kept separate rather than comingled. There will be separate cylinders for each of the five branches of service, with additional ones dedicated to specific wars and military units. Rather than just having their name and the dates of their birth and death carved in stone on a stone or brass marker, every veteran and family member interred will have a permanent memorial page on this web site accessible from anywhere at any time. During the initial phase of the development of the Cremation Garden, the Avenue of 444 Flags is conducting the Veterans Left Behind Project, an effort to inter the cremated remains of the thousands of veterans that do not have a permanent resting place. We would appreciate an obituary, biographical and service information, and photos of the Deceased. The more you can provide, the more complete the tribute will be. 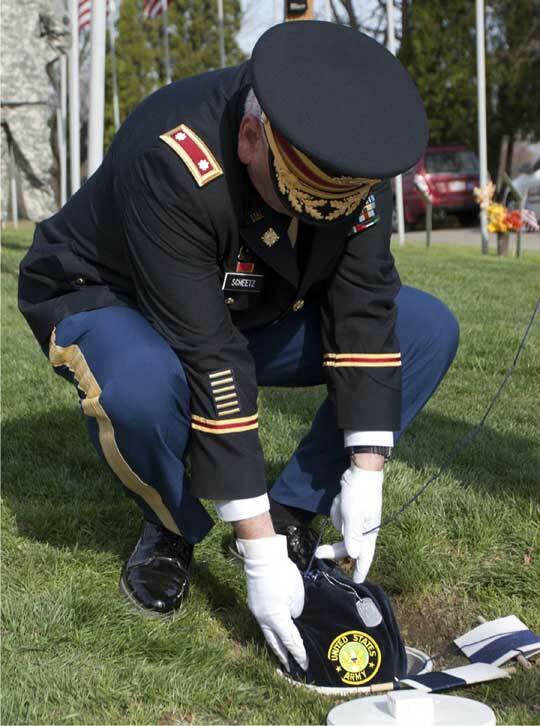 For more information about having the cremated remains of a loved one interred among the flags, please call 724-346-3818.